The world's first TVs supporting the .NET Framework are about to be released in January 2018. The TV ecosystem is expected to be enhanced by rich applications and content developed using the .NET Framework. Tizen .NET is an exciting new way to develop applications for Tizen. With Tizen .NET, you can use the C# programming language and the Common Language Infrastructure standards, and benefit from a managed runtime for faster application development and code execution that is efficient and secure. .NET Core and Xamarin.Forms are integrated with Tizen on Samsung Smart TVs. These modules allow you to develop cross-platform applications that run not only Tizen devices but also on Android™ and iOS devices that support Xamarin Mono. 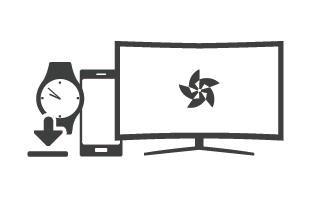 The Tizen .NET TV framework, based on the C# framework, adds Samsung common device and TV-specific features on top of .NET Core and Tizen. For example, the Tizen .NET TV framework provides hardware-accelerated multimedia decoding support. New TV-specific features are added gradually. 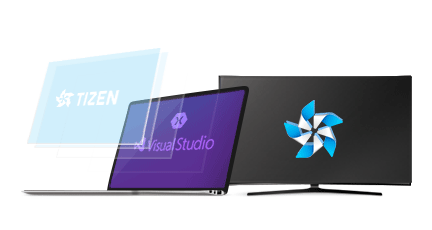 The Tizen .NET TV framework enables you to build .NET TV applications with Xamarin.Forms and the Tizen .NET framework. Xamarin.Forms allows you to easily create a user interface, and the TizenFX API provides numerous interfaces to much of the hardware that is found in modern TV, mobile, wearable, and IoT devices. The TizenFX TV API provides TV-specific features. .NET Core is a general-purpose development platform maintained by Microsoft and the .NET community on GitHub. It is cross-platform, supporting Windows®, macOS, and Linux, and can be used in device, cloud, and embedded/IoT scenarios. Xamarin.Forms is a cross-platform UI toolkit that enables you to efficiently build native user interface layouts that can be shared across iOS, Android™, Windows Phone, and Universal Windows Platform applications, using C# or XAML. The TizenFX API enables you to access platform-specific features, such as retrieving system information, application information, and sensor data, and using account and connectivity services. 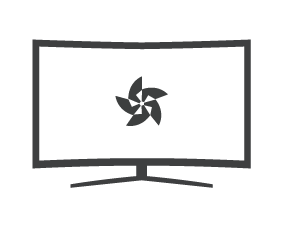 The TizenFX TV API enables you to access features specific to Samsung TVs, to extend the capabilities of your application beyond those provided by the TizenFX API.